Keep up to date with the latest HZPC news and global potato news. West Australia’s potato growers could regain access to Eastern States markets by the end of the year, after a big biosecurity effort demonstrated a rare bug found in WA does not carry a damaging bacteria. The tomato potato psyllid was detected in WA 18 months ago, causing Eastern States markets to shut their doors to WA potatoes, a move estimated to have cost local growers tens of millions of dollars. As the early potato season comes to an end in France, early potatoes and the new crops are now taking over. The first available data indicate, for the moment, yields down by about 7% compared to the five-year average. More potatoes were planted: + 3.6% in France and + 1% for the 5 NEPG countries. While average planting dates were later, following the adverse weather conditions during the spring for a number of weeks, the general growth of potatoes were negatively affected. It’s been 13 years since Steve Love was involved in potato research and development but his effect has not been forgotten. During last month’s Potato Association of America banquet in Boise, Love, a professor of plant sciences at the University of Idaho’s Aberdeen Research and Extension Center, was recognized with the PAA’s Honorary Lifetime Membershipfor his work in potato research. These days Love is Idaho’s consumer horticulturist specialist helping develop the native plant program at the Aberdeen center. Brexit may provide British potato farmers with an opportunity to substitute imports if trade barriers are imposed by Brussels. As a result, it means the sector could be less exposed than others in the industry. That is the message from David Swales, head of strategic insight at the Agriculture and Horticulture Development Board (AHDB), who spoke at ‘Potatoes in Practice’ in Dundee on Thursday, August 9. The escalating trade war between the U.S. and China increased further as both sides recently announced new multi-billion tariffs on a host of goods. As expected, China included U.S. fries and dehy on their announced retaliation list. The new tariffs are 10% on fries and 25% on dehy. “We’re monitoring this situation in coordination with U.S. trade officials. Our message to all parties has not changed. Succeeding Jansky as PAA president was Rich Novy, USDA-ARS research geneticist at the Aberdeen, Idaho facility. Novy said that he wants to continue the PAA’s role continuing to develop collaboration among researchers and the industry and encourage young researchers to stay involved in the potato industry during his one-year term as president. “One thing that we’re looking at is trying to facilitate new researchers, graduate students, keep their interest in being involved in potato and continuing their research role to help the industry,” Novy said. In a press release issued yesterday, the grower organization NEPG (North-Western European Potato Growers) says that it is now becoming clear that the 2018 potato crop will be much lower and quality issues will be a main challenge throughout North-Western Europe. The NEPG represents potato growers in Germany, the Netherlands, Belgium, France and the UK. 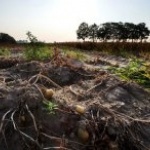 “Extreme record drought conditions and exceptionally high temperatures are at the order of the day all over the main potato growing countries in Europe,” the organization says in the release. Scientists at the John Innes Centre have discovered how plants send internal warning signals in response to an attack by aphids. 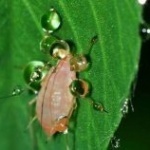 They found that when the insect feeds on a leaf it triggers the plant to admit calcium into the damaged cells. This small flux of calcium prompts the plant to signal that an attack is underway, and a larger amount of calcium is then mobilized from within the cell. 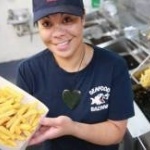 While other countries regulate fryer fat use, experts in New Zealand say degraded oils at its favourite chippies is concerning. The key to producing good fish and chips is to use top-quality oil, filter the frying vats each day, regularly change the oil, and cook oils at the right temperature. But industry experts say not all fast food operators are making the health grade, and neighbourhood chippies are some of the worst offenders. Chemist Dr Laurence Eyres, a specialist in oils and fats, says the prevalence of fast food outlets using old degraded oils is concerning. 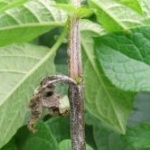 Earlier this spring AHDB in the UK produced comprehensive new guidance on controlling late blight in light of the increase in the aggressive blight strain 37_A2. CPMtakes a closer look. There’s been much talk about blight programmes since the 37_A2 late blight genotype emerged in the UK. It’s of particular significance because the new strain appears to be aggressive, highlighted by its relatively rapid increase in the blight population last season (from 3 to 24% of samples tested). The worst drought ever recorded is sweeping large parts of in particular eastern Australia. 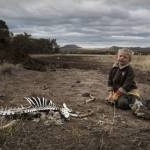 The entire Australian state of New South Wales (NSW) has been declared in drought after a drier-than-expected June and July. The entire state of New South Wales is effectively, and now officially, drought-declared. There is virtually no fodder left for livestock. June and July have been much drier than expected, resulting in failing crops, water shortages and a diminishing supply of fodder to sustain stock. 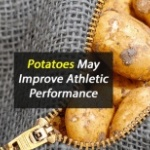 The US potato industry is making a strong statement about potatoes to demonstrate the performance-boosting benefits of America’s favorite vegetable. 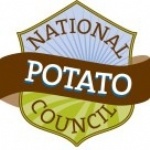 Potatoes USA, a Denver-based national marketing group representing 2,500 growers and handlers, worked with its members to identify a nutrition-based lifestyle benefit that challenges consumers’ preconceived notions about potatoes. 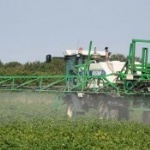 A breakthrough emergency authorisation for Cuprokylt (copper oxychloride) provides the only fungicide available to organic potato growers in Britain for the control of late blight, at a key time of the season. The Extension of Authorisation for Minor Uses (EAMU) was driven by industry leading stakeholders, including Certis, Agrii, the Agriculture and Horticulture Development Board (AHDB), National Farmers’ Union and several organic growers associations. Farmers, researchers and members of the public gathered at the University of Maine’s Aroostook Research Farm in Presque Isle Wednesday to learn about the latest in potato research. “There’s a tremendous number of experiments going on,” said Greg Porter, a University of Maine agriculture professor. Attendees at the field day learned about a range of trials underway at the farm, including research into different fertilizer applications, fungicide treatments for late blight, beneficial soil fungi, and the relatively new potato pathogen known as dickeya. The Global Potato Chips Market reached 26.5bn Euros by the end of 2017, with an average annual volume percent growth of 5.9% over the 2012-2017 period. According to Alan Deane, founding partner of research company Food for Thought (FFT): “At the top end of the market on a per capita basis in 2017, Ireland leads at 4.4 kgs per capita, followed by the United Kingdom (3.5) and Canada (3.4). This then drops rapidly for Spain (2) and the USA (2.32). The Potato Growers of Alberta (PGA) Field Day Open House will take place at the University of Lethbridge next week, August 17, 2018. The event is an opportunity to showcase potato research activities and tour the university’s new soon-to-be-opened Science and Academic Building (Destination Project). 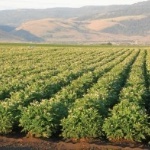 The tour is aimed at potato growers and industry stakeholders. 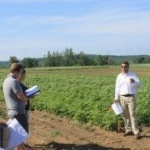 Cavendish, the PGA, McCain Foods and Lamb Weston fund the research chair and potato program at the university. For farmers in central and northern Europe, this summer’s unusually high temperatures aren’t just uncomfortable, they are putting their harvests at risk, The Guardian reported. The drought, caused by high temperatures and low rainfall since May 2018, is the worst in recent memory for the region, according to The Guardian. “Older families around me are comparing this to 1976,” 25-year-old Dutch farmer Iris Bouwers told The Guardian. 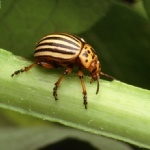 In the summer of 1950, during the early days of the Cold War, the farmers in then communist East Germany were told by their government that American planes were dropping Colorado potato beetles over their potato fields to try and sabotage their crops. Farmers reportedly saw low flying American planes constantly dropping something from the air, and shortly after the farmers would notice large numbers of new beetles in their potato fields. Calcium plays an important role in the growth and development of plants, says Jiwan P. Palta, professor, Department of Horticulture University of Wisconsin, Madison. Palta writes in a factsheet that cell membrane health is very crucial to the survival and health of the plant cell. 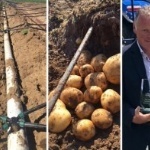 A sustained dry period, changes in water licences and shortage of labour are making ‘smart irrigation’ systems more attractive to potato farmers, according to Andrew Howseman of Howseman Agriculture in the UK. “Even farmers that have never needed irrigation before are considering it after this June,” says Andrew. “We’ve got people who’ve been irrigating for at least 50-60 days non-stop, which is completely unheard of. Max Coleman, Science Communicator, Royal Botanic Garden Edinburgh (RBGE), recently told Sefari more about our much loved tatties. Coleman says Scotland is a global leader in the research and cultivation of one of our favourite foods, the potato. The Commonwealth Potato Collection (CPC), based at the James Hutton Institute) in Invergowrie, contains around 1500 samples of wild potato species that collectively form a valuable genetic resource that helps to safeguard the future development of the potato. 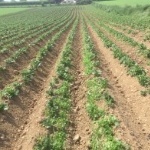 The consequences of the extreme temperatures and moisture deficits experienced earlier in the year have become evident this week as significant areas of potato crops are now sprouting. 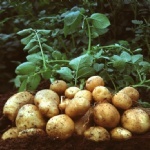 Substantial stress was placed on potato crops during the hot weather, which limited both canopy development and tuber bulking. 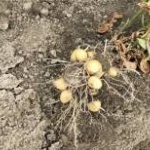 With cool and wet weather in April and May, unseasonably hot weather around Memorial Day and dry weather in July, Mother Nature has given Wisconsin potato growers a challenging season. But balancing all the factors, suppliers anticipated a near average crop for 2018. “We’ve had some areas that did better than otherwise,” said Tamas Houlihan, executive director of the Antigo-based Wisconsin Potato & Vegetable Association. For years, the diet industry has promoted the idea that carbs are ‘bad’ for our waistlines. If you want to be slim and fit, say goodbye to rice, potatoes and pasta (ignoring the fact, of course, that professional athletes often a mix of fast and slow release carbs into their diets). That is, until now. Because someone’s come up with the ‘Super Carb Diet’, which promotes the eating of ‘fibre-dense’ carbs. 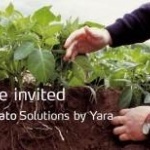 Norwegian based international fertilizer giant Yara has extensive crop knowledge created from more than 100 years of research and development in more than 150 countries around the world. 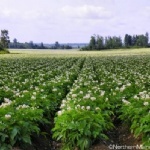 The company has recently developed a working guide for producers on the nutritional needs of the potato crop in eastern Canada. 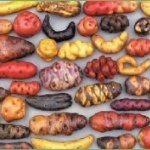 Potatoes require 17 different nutrients, each playing a unique role in plant nutrition. Indra Nooyi, 62, will make way for company insider Ramon Laguarta, a 22-year PepsiCo veteran, but she will remain chairwoman until early 2019, the company said. Joining Pepsico as a young executive, she was promoted to chief financial officer (CFO) in 2001 and was named CEO in 2006. “Leading PepsiCo has truly been the honor of my lifetime, and I’m incredibly proud of all we have done over the past 12 years to advance the interests not only of shareholders, but all our stakeholders in the communities we serve,” said Nooyi. A centre for excellence for potato-seed is all set to become a reality in India’s Gujarat province, through a collaboration between Indian and Dutch companies. The setting up of the centre for excellence is being facilitated by the Netherlands Business Support Office (NBSO), with a view to helping produce better quality potatoes which will help improve the marketable yield of potatoes. Dr Eugenia Banks is a potato specialist and works as consultant for the Ontario Potato Board in Canada. 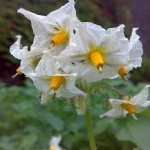 In a recent newsletter, she notes that second growth of potato tubers is a physiological potato problem induced by soil temperatures of 24 degrees Celcius or above, especially when coupled with water stress. 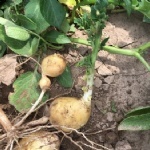 “These two factors interact to limit the tuber growth rate causing second growth,” Dr Banks says. “Inadequate soil moisture alone does not result in the initiation of second growth. European varieties appear to be more susceptible because they were bred and evaluated in countries were the growing seasons are rarely hot. It is interesting to see that the current heat wave and drought conditions in Europe cause problems that European growers had rarely seen before, but we are familiar with them here in Ontario. We can feel it, hear it and we can even see it from space. Europe is hit severely by a heat wave. Everybody is sharing images and comparisons of landscapes before and during the drought connected to this heat wave. But what is actually going on? How extreme is it? And most importantly, what is the impact on our agricultural sector? As potato growers in Oregon prepare for harvest, the Oregon Potato Commission was looking forward to a successful year with a high-quality crop. “The production in Oregon this year is probably going to be similar to what it has been in the past,” said Bill Brewer, the commission’s executive director. “We’ve got a little bit of a shift where the production is taking place.” Part of that shift is taking place in southern Oregon near the California border, where Brewer said production has decreased slightly. 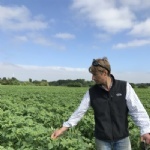 At a recent AHDB Potatoes event in the UK, Dr Mark Stalham of NIAB CUF discussed calls he has received regarding the prevention of in-field sprouting and secondary growth. With thunderstorms in the forecast, these are genuine risks. He said: “Many crops, particularly those that are unirrigated, will have effectively stopped growing in the last week or ten days. A deluge of water could cause growth cracks. From August 1 to 4, 2018, the Flanders Agricultural Marketing Board (VLAM) will bring together five major Belgian fries exporters to exhibit as a group at WOFEX Manila 2018 (World Food Expo). 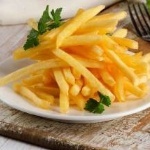 They will gather under the banner “Belgian Fries” with the purpose of widening their networks, increasing their share in the Philippines’ growing market for processed potato products, and heighten awareness of Belgian fries in the Philippines and the region. The Agriculture and Horticulture Development Board (AHDB) in the UK estimates that the total area in Great Britain planted with potatoes is 119,000 hectares(ha), a fall of three per cent on the previous year. This would represent the third-lowest planted area on record. 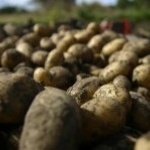 The news comes in a challenging season for potato growers, with an agricultural drought likely to affect yields. The continuing drought conditions have provided further evidence of the systemic weaknesses in Irish agriculture, particularly our potato and vegetable industry. Potato crops are suffering badly this year. Yes, they are suffering from the drought, but the drought is also revealing how poorly structured the industry is. 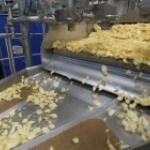 On July 30, potato processor Cavendish Farms announced that it will be closing its fresh potato packaging facility in the Canadian province of Prince Edward Island (P.E.I. ), citing “limited availability of potatoes on the Island.” But provincial Agriculture Minister Robert Henderson says there is no shortage of potatoes on P.E.I. Joseph Sieczka was a valued colleague and friend to many in the US and international potato industry. For more than two decades, Mr. Sieczka worked as coordinator at Cornell University’s Long Island Horticultural Research Center in Riverhead, where his research involved various crops, but focused primarily on potatoes. He was a renowned potato expert and had served as president of the Potato Association of America and co-authored two editions of its handbook. 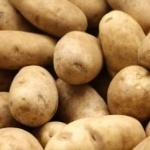 A Northern Tasmanian farmer has lashed out at McCain Foods (Australia) over contract potato pricing, as the consumer watchdog begins its investigation into the vegetable processor. The farmer, who has a contract with McCain, doesn’t wish to be identified due to potential backlash, said growers were sick of the low prices they were being paid by the processor for their product. “We are being paid $26 less that what we were being paid 10 years ago,” he said. Maybe it’s just a breather, but the long-simmering controversy between the R.D. Offutt Farms’ potato field expansion project and environmentalists concerned about groundwater and lake pollution in Minnesota may have come to an end or at least reached a turning point. After Minnesota’s Department of Natural Resources gave a two-week notice last week that the Fargo-based company’s irrigation water well permits in some of the eight northern Minnesota counties it operates in would require an environmental study, the company announced Wednesday, Aug. 1, that it has withdrawn its request for the final three permits. New research from the Birch lab in the University of Dundee’s Division of Plant Sciences, based at the James Hutton Institute, has discovered a mechanism that could combat late blight disease in potato crops. Professor Paul Birch, Head of the Division of Plant Sciences, said: “To be a successful pathogen, microbes need to suppress or otherwise manipulate host defences. Steven Salzberg writes in Forbes magazine that a European Union court just issued a new decision about GMOs. Disappointingly, this decision is likely to further confuse rather than clarify this complex and contentious issue. The court announced that plants whose genomes have been modified with CRISPR technology, a very precise form of genome editing, are subject to the EU’s very strict restrictions on genetically modified crops. The Japanese snack giant reported net sales of $551m for the first three months of the fiscal year ending March 31, 2019, due to increased sales of snack foods in the domestic market. Analysts expected the company to report $5.43bn, an increase of 6.92% over the prior year quarter. ©2016 HZPC Americas Corporation. All rights reserved. Site Created by Web Site Advantage.